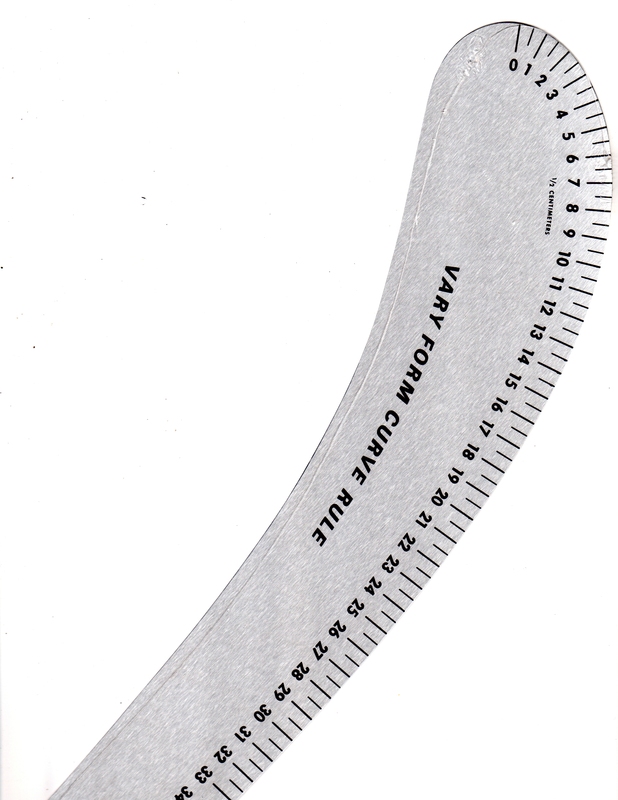 Practically replaces a set of French curves. Indispensible to the pattern maker and graphic artist. 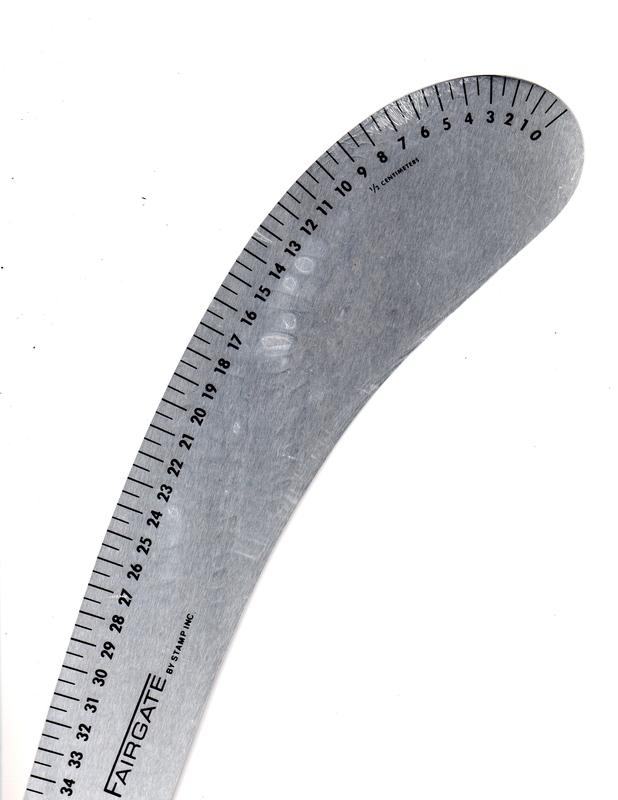 48cm Aluminum Metric Vary Form Curve. Draws a wide range of curves by simply turning. 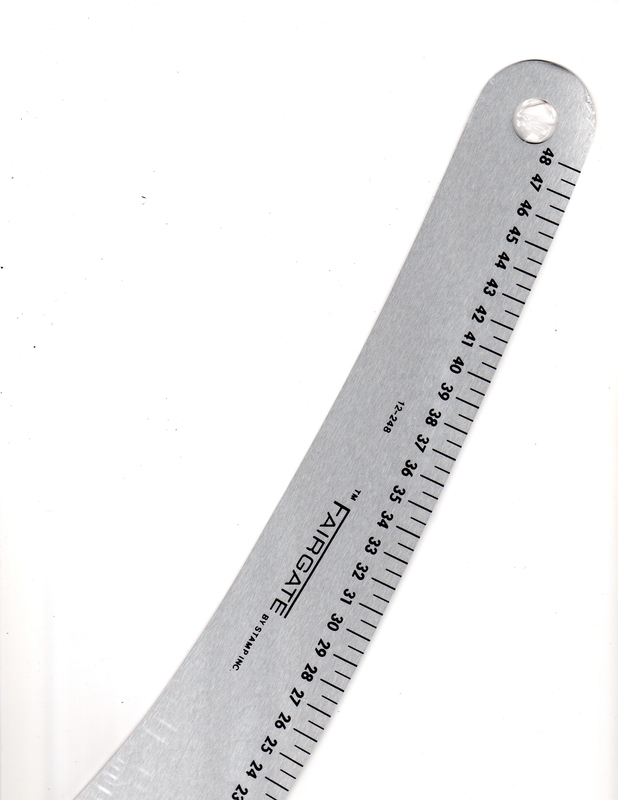 Practically replaces a set of French curves. Indispensible to the pattern maker and graphic artist. 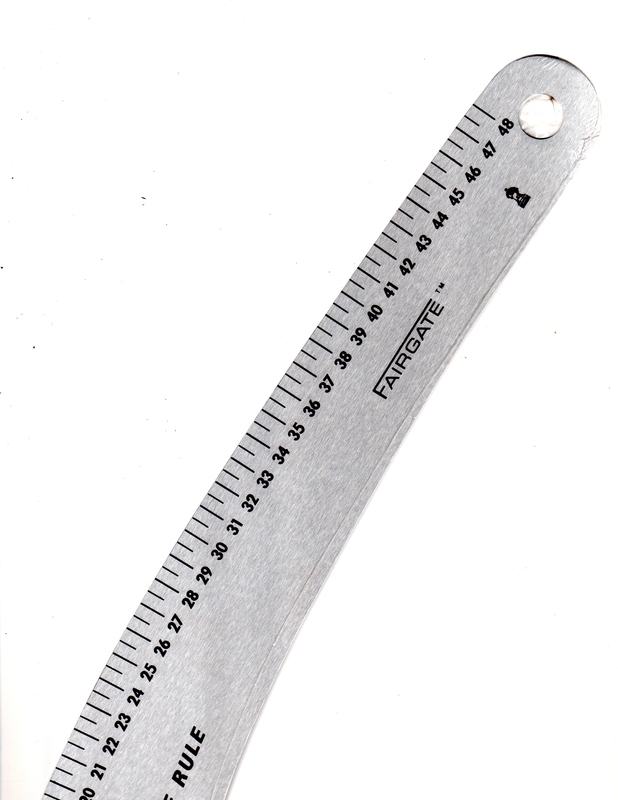 FAIRGATE 11-124 Curve stick, Hip Curve, 24"
FAIRGATE 14-101, Cuff Width Ruler 12" x 1 -1/12 "